Back in March, I attended two game parties/potlucks. For both parties, I volunteered to bring dessert, my favorite course to make. 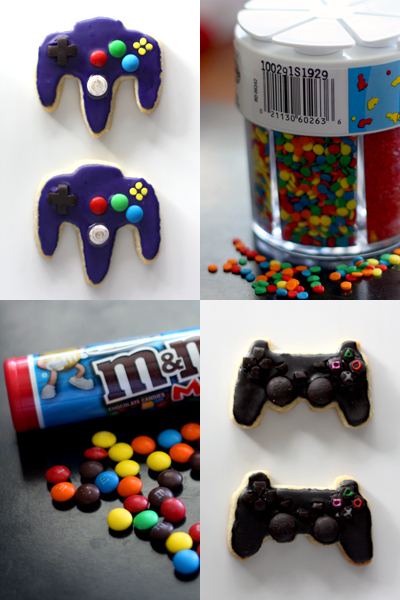 I wanted to bake something game related, and then I remembered Ms. Humble's adorable Wii controller cookies. 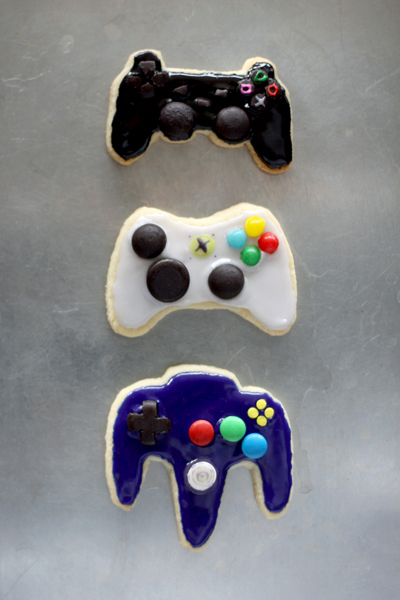 I decided then and there that I'd bring game console controller cookies to the parties. I knew that a variety of consoles would be at each party, so I ended up making three types of controller cookies: Xbox 360, Nintendo 64, and Playstation 2. It was fun going to the store to pick out candies for making the controller buttons. My most successful find was Crows, a black licorice version of Dots, perfect for simulating all those black and gray rubber buttons on the controllers. Other decorations I used were: Good & Fruity, the fruit version of Good & Plenty, mini M&Ms, white chocolate chips, and mini rainbow circle sprinkles. Overall, these cookies were well received. They were the perfect dessert to end a potluck and segue into some intense video gaming. Or for some, something sweet to nibble on while waiting to play Rockband or Mario Party. 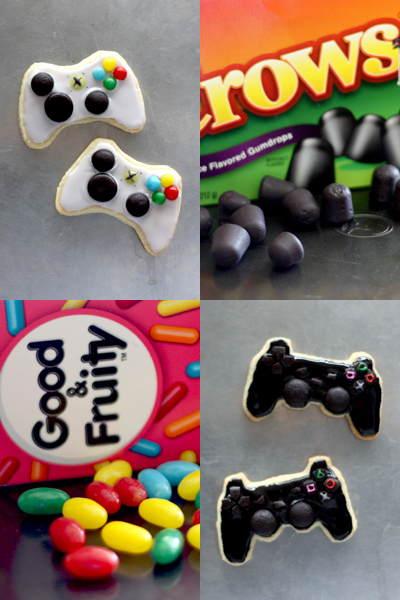 So next time you attend a game party, consider bringing some controller cookies. 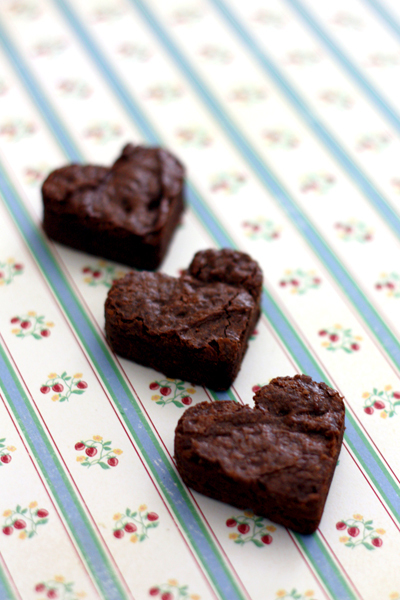 At the very least, they'll give everyone something to talk about :D.
Brownies are another group of crowd pleasing cookies. Much like chocolate chip cookies, these bar cookies use basic baking ingredients, are simple to make (even easier than CCCs), can be easily changed in shape and portion size, appeal to many people, and come in different textural varieties (fudgy, cakey, and chewy). My favorites happen to be chewy brownies. This recipe is quite adaptable. First of all, additional ingredients, like nuts or chocolate chips, can easily be added into the batter, if preferred. 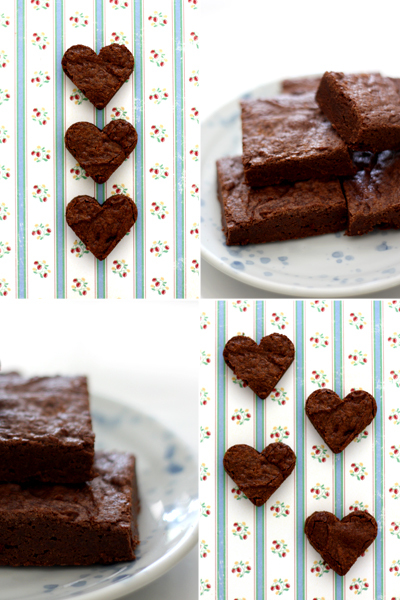 Secondly, since these brownies are baked in a large sheet, once cooled, they can be cut however desired: the standard 24 rectangles, 48 smaller rectangles for a larger group, circles with a circle cutter for brownie bites, or even hearts with heart cookie cutters to add a cute touch. Happy Easter! 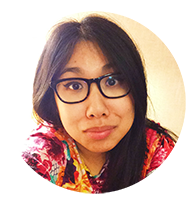 When I think of Easter, I always picture little yellow chicks and pastel bunnies hopping around a green field with candy eggs hidden between tufts of grass, the type of scene found printed on Easter candy bags. I went candy shopping yesterday and realized that there are so many Easter candies out there, it was quite difficult to pick just one or two*. 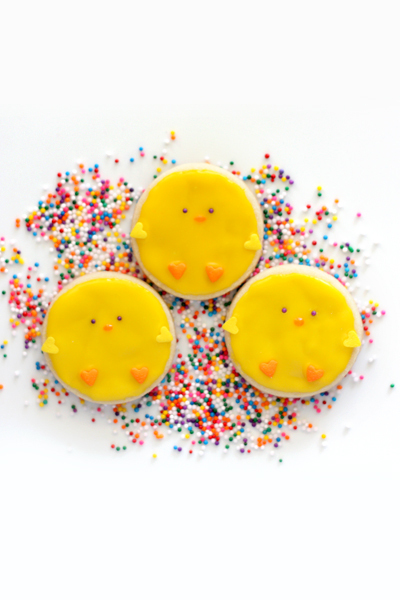 Anyway, last Easter, after seeing Bakerella's adorable chick cake pops, I felt inspired to translate them into cookie form. This year, I improved on last year's design** by cleaning it up a little. 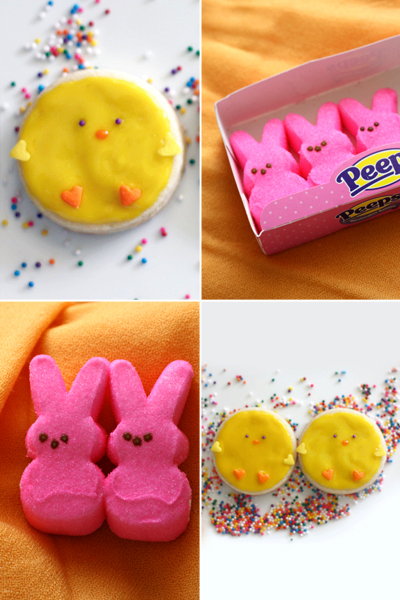 These Easter chicks are actually very easy to decorate. The great thing is that they don't require any fancy cookie cutters, just a circle cutter will do. Other than that, add some yellow and orange icing and a couple of sprinkles and that's it!